This truly ambitious and crucial period in the evolution of Korea’s democracy is being summarized with some rather dramatized headlines. Consider CNN’s “3 die in protests after South Korean president removed from office”. It’s important to realize that there are some pretty incredible and challenging changes occurring in Korea right now, but it isn’t chaos - it’s democracy. I can understand why media outlets are getting the story all bent out of shape. The 24 hour news cycle requires gigantic amounts of cynicism and sensationalism to keep up it’s breakneck handling of current events. However, the news doesn’t have to be mass produced. Nor, by the way, should it be sold to the highest bidder or marketed to the lowest common denominator. Trendy plastic junk can be fun to collect, but we shouldn't get our understanding of the world out of a Happy Meal. Headlines that characterize the impeachment of the president as “chaotic” are trivializing a truly impressive chain of events in Korea. They’re also misrepresenting a very complex and overall very positive event in the history of this country. There isn’t anarchy in the streets. In fact, the protests that led up to this political action were notable not only for their size and consistency over the course of the last six months, they were also celebrated for their exceptionally calm and cooperative spirit. Without the benefit of a lot of formal organization, they were peaceful and organized. People spontaneously worked together in astoundingly organic ways to make sure the massive weekly protests that began in October 2016 remained safe and focused. 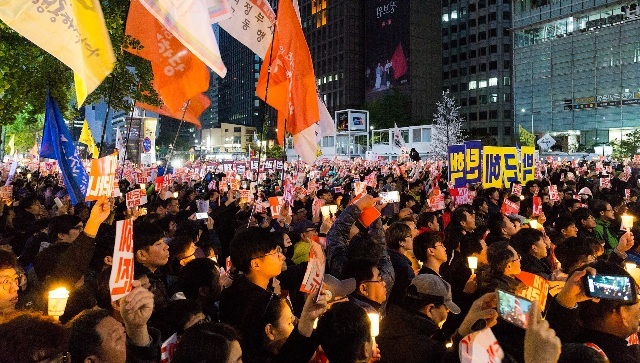 It’s true that there were some injuries as well as three fatalities after the recent unanimous decision to remove president Park Geun-hye from office. A Park supporter in his 70’s died when a large speaker fell off a police truck and struck him on the head, for which another Park supporter is being questioned - apparently he stole a police vehicle and ran it into the truck holding the speaker. A second Park supporter died in an “attempt to break through police lines” for which the exact details are still unknown; and a third 75 years old man died of a heart attack during the counter protest. 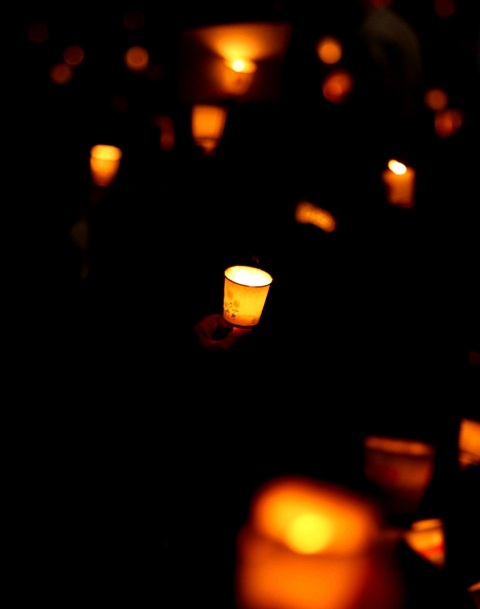 It’s terrible that these men lost their lives as they took to the streets. However, there’s a difference between violent protests and protests marred with violence. In almost 6 months of widespread, large scale protests involving millions of people across all of the country's major cities this was the first issue of any real violence. Isn’t it odd how that fact never made it into the newsfeed? The domestic media response to this entire event has often relied on unworthy subterfuge, like the sad misuse of shamanism to describe Choi Soon-sil - the president’s disgraced advisor - who had no such connection to the tradition. And it hasn’t been much better internationally. 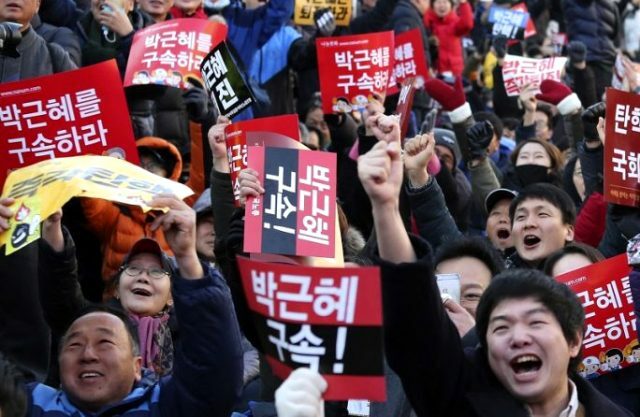 The American news publication Foreign Policy responded to the protests with the following headline: “In Korean Democracy, the People Are a Wrathful God”. This is a problem because increasingly, people are shaping their worldview using poorly researched, emotionally charged sources that cherry pick stories for their controversy and conflict. Look at it this way - Korea’s president wasn’t ousted, plunging the country into chaos and violence. Instead, an elected official was impeached and removed from office due to serious abuses, in accordance with the law, as a result of a qualified majority of the electorate exercising their civic duty, in a functional democracy. That isn’t political chaos, it’s political order. Does that mean the government is now back on track and running smoothly? Of course not. Does it mean there isn’t plenty of scandal, turmoil, tension, conflict and chaos? Again, of course not. However these are aspects of the story, not the entire story itself. If you really want to know more about the situation, read about the mishandling of the Sewol disaster, Park Geun-hye’s ill-fated push for a national textbook, the death of a farmer during protests against rice imports, and claims that the National Intelligence Service was involved in her election. Take some time to learn about Korea’s 35 years of Japanese occupation and World War II, the Korean War and the division of the country into north and south, the history of its leadership and political movements, and its stunning period of rapid recovery that catapulted the country into modernity. Remember, it was only in 1987 that Korea had its first elected president. I’d say Korea deserves a little bit more respect for what it’s accomplished over the last 30 years. Understanding more about these issues will help you reach past the controversies in order to grasp a larger context. It will help you to see that the protests that began in October weren’t really a movement to impeach the president, they were a continuation of a decades long process. I think this is newsworthy stuff, and I wish more people - and certainly more news outlets - would take the time to frame these events in a way that promotes understanding rather than just farming clicks. Provide a constructive narrative, don’t just tell a story.